A comprehensive and up-to-date introduction to the analysis of public rhetoric, Modern Rhetorical Criticism, second edition, teaches readers how to examine and interpret rhetorical situations, ideas, arguments, structure, and style. The text covers a wide range of critical techniques, from cultural and dramatistic analysis to feminist and Marxist approaches. 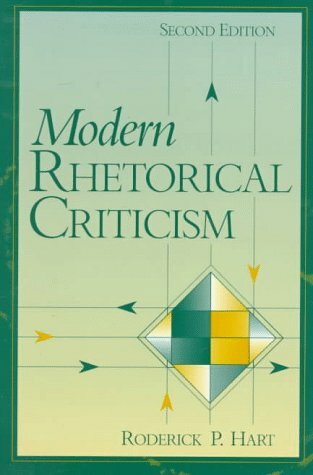 A wealth of original criticism demonstrates how to analyze such diverse forms as junk mail, congressional debates, and traffic regulations, as well as literature. This long-awaited revision contains new coverage of mass media, feminist criticism, and European criticism.